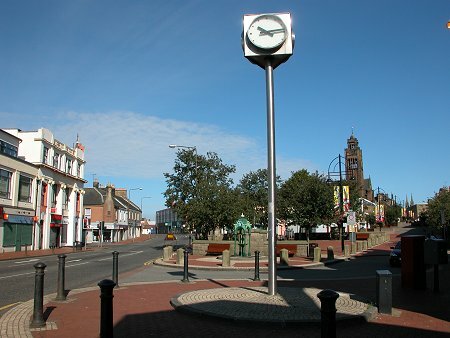 George Place, or "The Steelyard"
Bathgate is probably best and most widely known from featuring in the chorus of the Proclaimers' song "Letter from America." 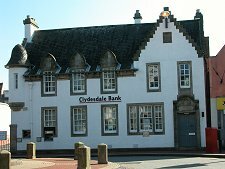 The reality is a West Lothian town with a recorded history dating back the better part of a thousand years, but which for the past two hundred has seen a succession of short-lived industrial booms. 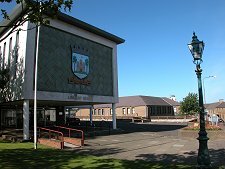 Bathgate's origins date back to the 1100s when it was known as Batket, probably meaning "house in the wood" or "boar wood". By 1328 there was a Royal Castle here which was given by Robert the Bruce to his daughter Marjorie on her marriage to Walter, the High Steward of Scotland: thus began the Stewart dynasty that was to rule Scotland until 1689. 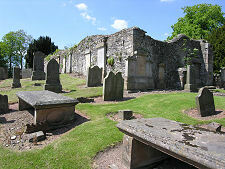 Bathgate Castle fell into disuse in the 1400s and little or nothing now remains of it. 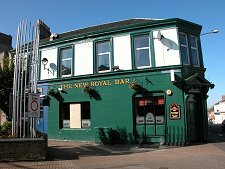 Bathgate itself had an uneventful middle ages, but had grown into a linear town with a coaching inn on the Edinburgh to Glasgow road by the early 1700s. 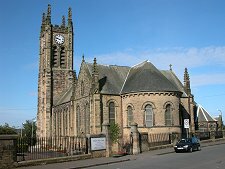 The medieval Old Parish Church was replaced in 1739. By 1736 the coaching inn had been supplemented by a brewery and a maltings. 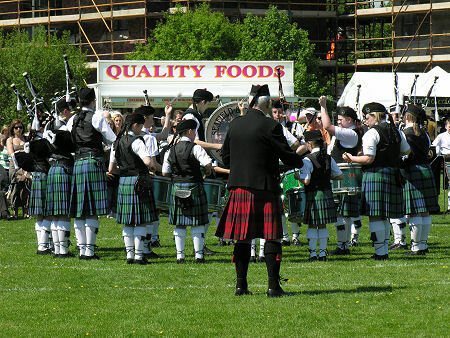 And by 1800 Glenmavis Distillery had arrived on the scene, distilling on a steep site just to the north of the town. Meanwhile extraction of coal, lime and ironstone had begun from mines and quarries around Bathgate. Glenmavis Distillery had an illustrious history, especially after its purchase by John MacNab in 1831. He sold its produce throughout the UK and far beyond as MacNab's Celebrated Glenmavis Dew. Glenmavis Distillery closed in 1910, its site now occupied by a fairly modern residential development. Which rather sets the theme for the rest of Bathgate's story. The town benefitted like many others from the arrival of the railroad in the middle of the 1800s. From 1824 its newly paved streets were lit at night by gas made from locally mined coal. 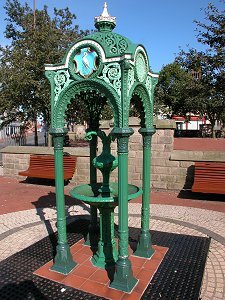 And in 1848 the world's first oil refinery was constructed on a site a little to the south of the centre of Bathgate, at the Bathgate Chemical Works. 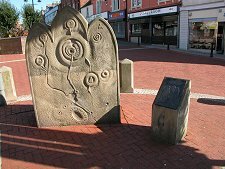 This followed the discovery by James "Paraffin" Young that mineral oil could be extracted from coal mined at Boghead, near Bathgate, and then that it was even more easily gained from the oil shales that underlay much of West Lothian. This was the start of West Lothian's remarkable oil boom of the late 1800s. The process produced crude oil, paraffin oil, paraffin wax, naptha, gas, coke, and ammonia: and it also produce a bright pink spent shale which was simply piled up in huge "bings", many of which still dot West Lothian today. 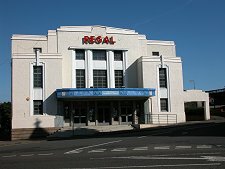 By the late 1800s, Bathgate was also home to a steelworks and was surrounded by coal mines. The traditional industries reached their peak in the years around 1950, but then went into rapid decline. What was left of the Bathgate Chemical Works Closed in 1956. Shale mining ended across West Lothian shortly after 1960, and coal mining around Bathgate at about the same time. Meanwhile the passenger railway link to Edinburgh was closed in 1956. In an effort to tackle high levels of unemployment in the area in the early 1960s, the Government of the day persuaded the British Motor Corporation to build their vast new truck and tractor plant in Bathgate. In the 1970s the plant employed over 7000 people. But it was always a very long way from its main markets and from its components suppliers, and a steady decline led to the closure of what was by then known as Leyland Trucks in 1986. In the same year the electronics company Plessey closed a plant in Bathgate, leaving the town with one of the highest unemployment rates in Britain. The story since has been a generally improving one, though not without some problems. The railway line to Edinburgh was reopened in 1986, and more recently it has been reopened in the other direction, to Airdrie and Glasgow. 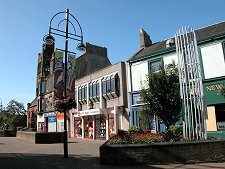 Bathgate benefitted from the coming of "Silicon Glen" in the 1990s: large scale inward investments along the M8 corridor which focused particularly on neighbouring Livingston. However, one of the largest of these new factories, Motorola, on the edge of Bathgate, closed in 2001. Meanwhile, the large space cleared of the old Leyland Trucks plant, which had since spent more than a decade as Scotland's main storage and distribution centre for new cars, has been redeveloped for residential use: just like the Glenmavis Distillery site. 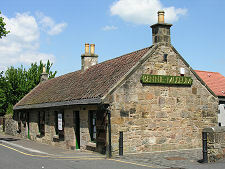 The story of Bathgate is told in the Bennie Museum, in the heart of the town. 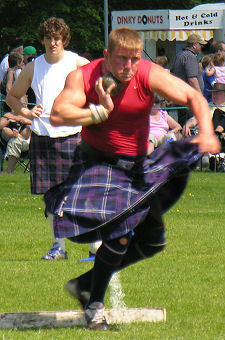 On the last Saturday in May each year, Bathgate's Meadow Park plays host to the West Lothian Highland Games.